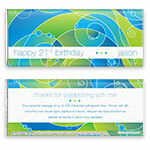 This hip wrapper will add fun and whimsy to any celebration. 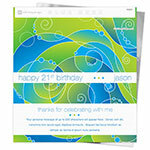 Design: Colourful swirl and circle pattern. Personalization: Front greeting and name, back title and message.